Having said that to set the mood, let me put it down a little (at least for me) because I broke a nail a few days ago and it's really bad. And today, the days of hearts, my special someone is away and I have been feeling under the weather for days now. But ... I have 3 very sweet cats who haven't been leaving my sick side. The universe really has a way of balancing itself. Anyway, will not let the day pass without sharing a Valentine's Day nail art. This one is very similar to the Accidental Love. I just painted the hearts a little different. 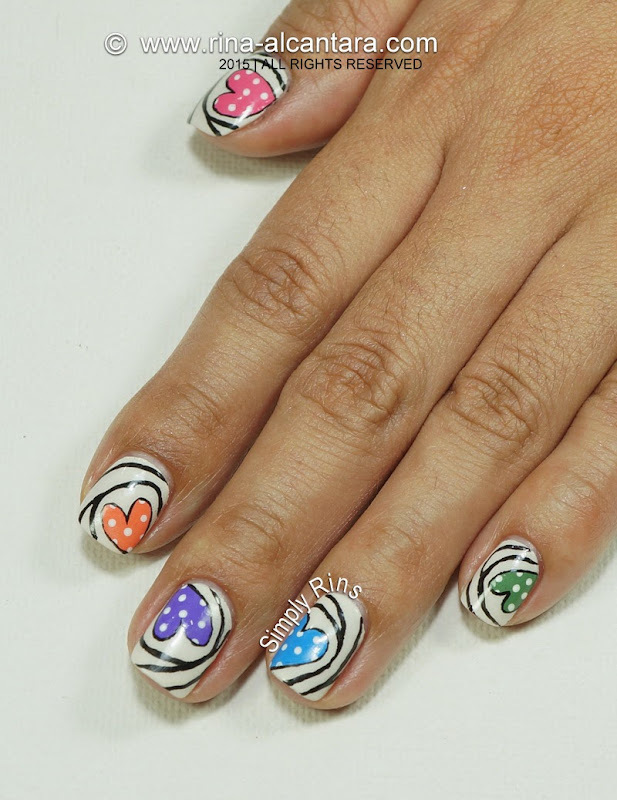 I wanted to have something colorful on my nails for Valentine's so I decided to paint heart candies. 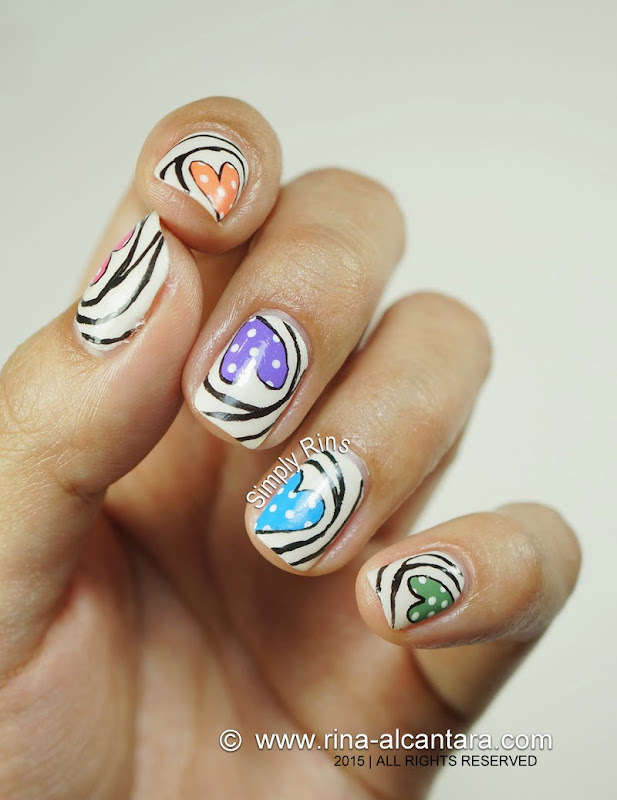 I painted a different color of heart on each nail to represent that there are different kinds of love. Base polish is 2 coats of Dazzle Dry Portia's Wit. I think it gave a vintage look to the design. White would have been a good choice as well. 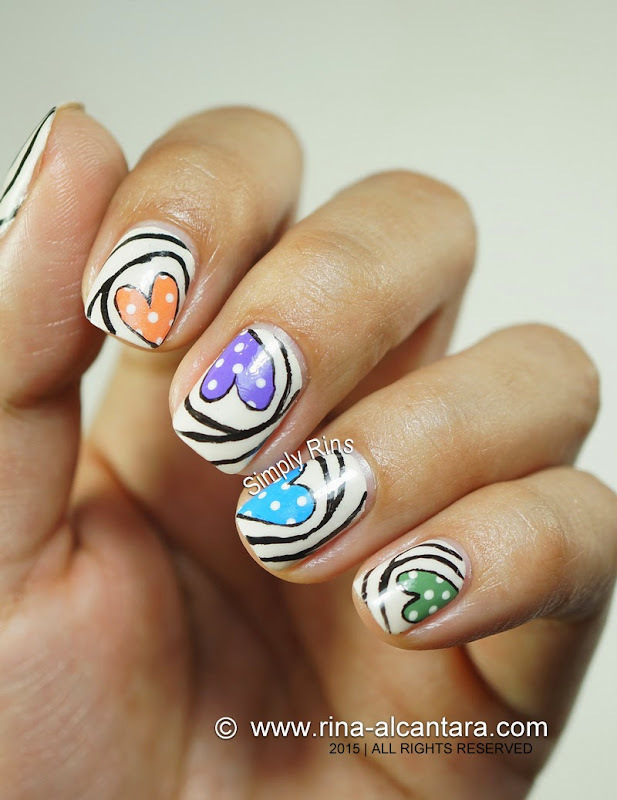 The design is freehand and done using a detail nail art brush, a dotting tool, and acrylic paints. I used pastel hues for the hearts and added tiny white dots to make them look like candies. My very shaky hands didn't help much while as I was painting. Being sick didn't help either. But I still love the outcome and I think it looks really dainty. These are adorably original and so, so sweet! Love them!